Quilting is the process of sewing multiple layers of fabric and wadding together to create a quilt or quilted garment. A ‘quilt sandwich’ consists of a quilt top which would normally be a patchwork, appliqué or embroidered design, the wadding which is used for adding padding and a backing which is usually a cotton fabric to help hold the wadding in place. In this section we will show you the fundamentals of quilting and the different techniques you can apply. This method is particularly useful when quilting large areas of patchwork like single up to king size quilts but is equally as useful for smaller projects. It is time-saving since the three layers are quilted at the same time as creating the patchwork itself. 2. Cut a square of backing fabric and wadding in your chosen size, laying the backing fabric right side down and the wadding on top. 3. Lay a strip of scrap fabric across the diagonal of the wadding with right side facing up, then place another strip on top, with right side facing down, aligning raw edges. Stitch with 1/4” seam allowance along this edge through all layers. 4. Open out the top strip and finger press. Place another strip on top, right sides together, and stitch along this seam . Repeat until wadding is covered. 5. Turn the quilted square around and complete in the same way as the half which is covered. 6. Use readymade bias binding around the edges to complete. Quilting is the process of sewing two or more layers of fabric together to make a thicker padded material, but is typically done with three layers to create a quilt or quilted garment. This consists of the top fabric or quilt topper, wadding and a backing fabric. Here is a quick comparison between the two options, by hand or by machine, but ultimately the choice is yours! Hand quilting is less expensive as only a needle and thread is needed. 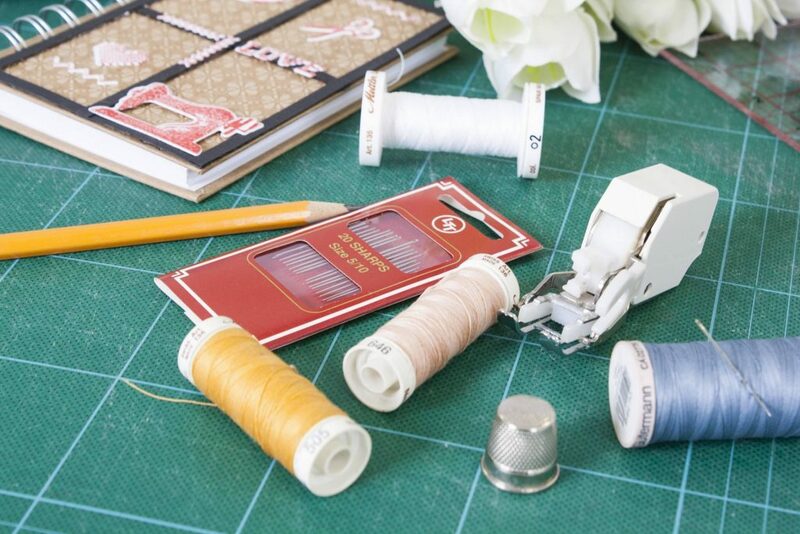 Any sharp needle can be used but traditional quilters will prefer to use ‘betweens’ as they are shorter and sharp, and enable you to achieve small, even stitches which is the result you will aim for. Since the fabric you will, more than likely, be using is 100% cotton, it is better to use a cotton thread. 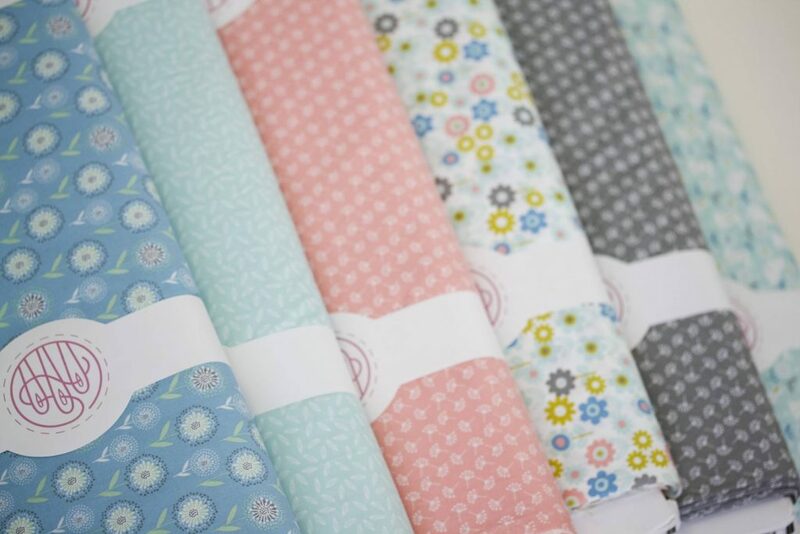 There are many quilting threads on the market and these are slightly thicker and often waxed for ease of travelling through the three layers. So, although it will take considerably longer to hand quilt, it will be far more affordable as there is no need for quilting machines or accessories. 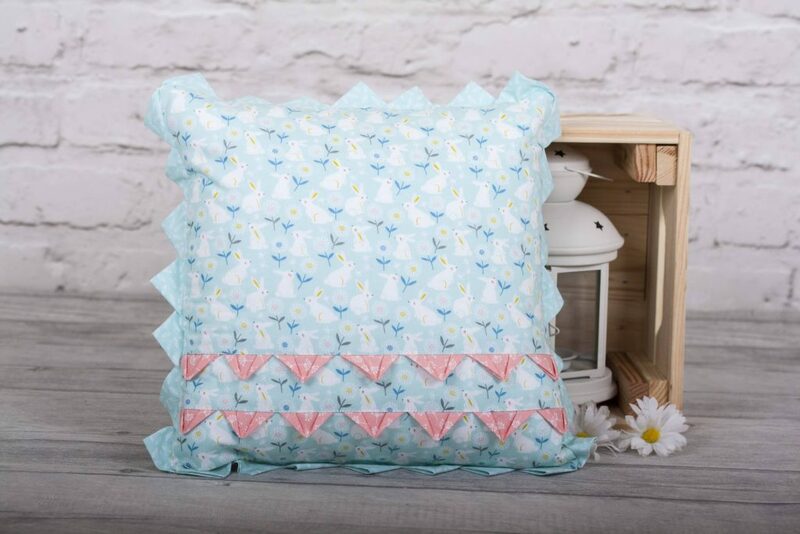 Hand quilting is transportable and can be done whilst travelling or sitting and watching the TV, and again, not dependent on a sewing machine. It is also looked upon as being more traditional and can be more artistic, but giving a homemade look to your finished project. Machine quilting on the other hand is so much faster. It is not necessarily easier, but it can be better and easier for those people who have dexterity problems. 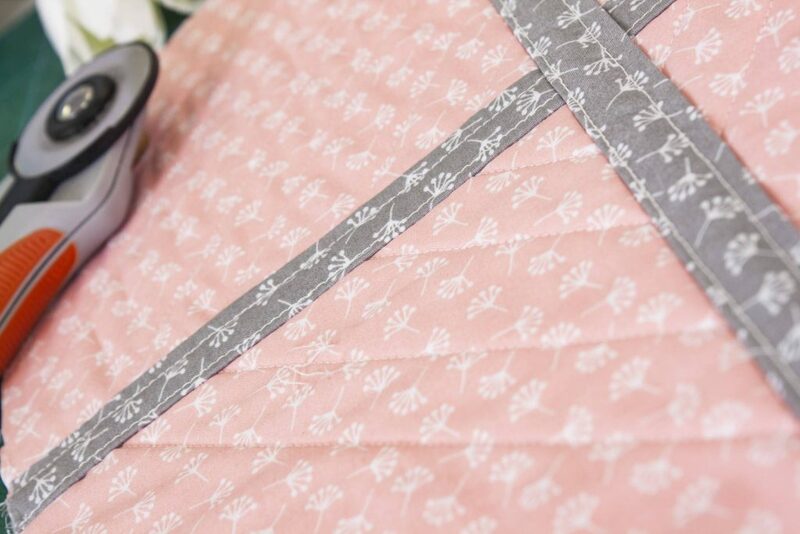 Where a quilt or quilted garment is to be washed on a frequent basis, it will be more durable when being constantly tumbled in the washing machine. If working with different weights of fabric, it can also be easier. It may be that a heavier wadding is being used along with a thicker fabric and this would lead to extra pressure on your hands when hand quilting for long periods of time. The machine would take away the repetitive motion especially if you suffer from arthritis or rheumatism, for instance. Most sewing machines will have the option of being able to add a walking foot or it may already be included with a specific patchwork and quilting machine. This foot is essential to creating your quilt designs to a good standard, as it ensures an even feed of the three layers of fabric through the machine. This means that the layers remain directly above each other and do not shift, which in turn , prevents the formation of puckers and pleats on the back of your work. Obviously, such feet have a cost but this varies dependent upon brand of sewing machine. However, they are value for money for achieving perfect results! A more expensive option is using a standalone quilting machine. They are available in varying sizes and price brackets, and in manual and computerised formats. Stunning results can be achieved but price and available space have to be taken into account. Ultimately, the choice of hand or machine quilting is an individual decision to be made, but more importantly, it’s whatever makes you happy! Interfacing is also known as stabiliser. It is a light piece of fabric which is sewn in, or fused to, another piece of fabric, to add stiffness. Often used in dressmaking and other craft projects to give stability. 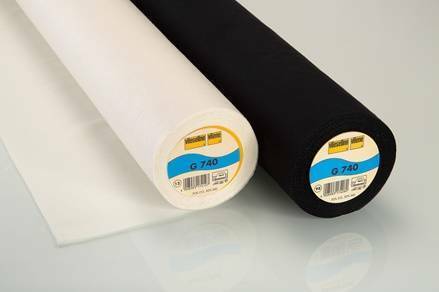 Interfacing is often available in three weights – light, medium and heavyweight; and in two colours, white and charcoal. Lightweight is for giving stability to all fabrics. 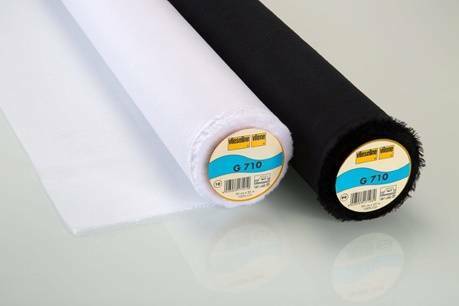 Medium and heavy weight are suitable for use on woven fabrics. Different weights suit different purposes. It is a textile which is used on the wrong side of fabrics to make the area of a garment more rigid or add body to a fabric such as shirt collars. 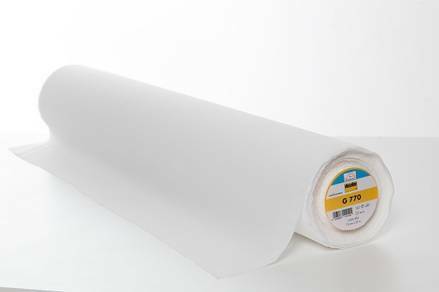 It also keeps the fabric from stretching out of shape, such as knit fabrics, jersey or T-shirting. Generally, the heavier the weight a fabric is, the heavier the weight of interfacing it will require.